BodySpace Member Of The Month - Oldsuperman! The BodySpace Member of the Month is Oldsuperman! He was chosen because he is a fierce competitor and motivates others to stay fit at any age. Congratulations! 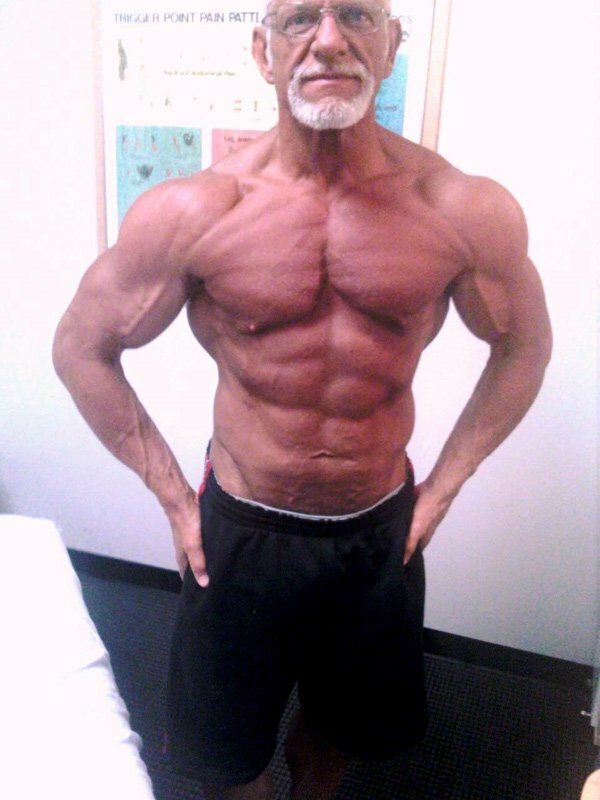 If you have been on Bodybuilding.com for a while then you know who Oldsuperman is. If not, then make sure you check out Ed Cook's story both in this interview and in the video article about him called "Becoming Oldsuperman!" Ed Cook has made a long lasting impact on Bodyspace and the fitness industry in general in a short amount of time. That is why we are proud to feature "Popps" as this month's Bodyspace Member of the Month! Ed "Popps" Cook, Fort Lauderdale, FL. 56 yrs. I started visiting BB.com Oct 2006. I went on the site to buy a pair of posing trunks for my first bodybuilding competition. I have met many BodySpace members over the years and some of my best bodybuilding buds I have met right here on BB.com! Some Of My Best Bodybuilding Buds I Have Met Right Here On BB.com. Well, now I work for World Gym in Fort Lauderdale, FL as a trainer. As far as getting into shape watching the video article that BB.com did on me explains the whole story better then I ever could! M5 by Cellucor! The stuff is the best pre workout supplement I've ever taken! [ Q ] What is the most important thing you've learned since you started training? Consistency with intensity gives you density! [ Q ] Do you workout alone or do you find it helpful to have a partner? I worked out for years with a training partner! THE RONSTER MONSTER! (Ron Stoltenberg) was my best bud in the gym till I moved to Fort Lauderdale last September. I believe a good training partner is a must! They keep you accountable! Time and patience is the key to meeting your fitness goals! It won't happen over night. Yet you will be amazed at how the body responses as you consistently train. Time And Patience Is The Key To Meeting Your Fitness Goals. Lifting too heavy. Caused many injuries from trying to lift too much weight. [ Q ] How do you get motivated to do a workout when you are having a hard day? First thing you have to do no matter how you're feeling, is SHOW UP! If you don't get to the gym and make the first step, you'll never make the next step to training. I love bodybuilding competitions. I hope to compete for a third time at Pittsburg, PA at the NPC Masters National July 2011 in the 50 year Super Heavy Weight class. This is an amazing place you can meet and forge some of the greatest friendships you will ever have. I have life long friends because of BodySpace and BodyBuilding.com. I have learned so much about fitness that would be impossible without the wonderful things available to everyone from BB.com.